Told you in my previous post (or not,now that I'm double checking it---I think I might be having multiple strokes these days, cause I can't seem to focus !!!) that I would be sewing a set of trivets for my dearest auntie as a thankful gift. Well, they're done. And I'm actually thinking of not giving these vintage cuties up! 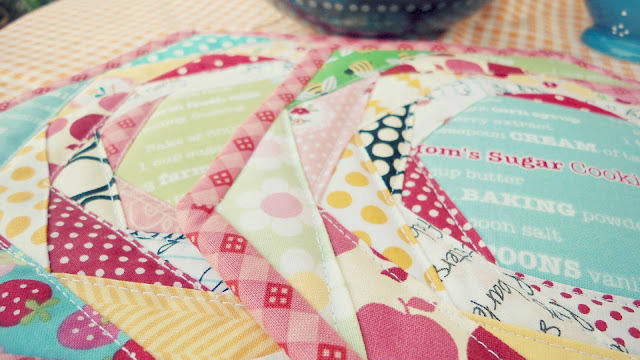 This wasn't the first time that I've been paper piecing. But every time is like the first time. Honestly!! Multiple strokes again! Every start is the same, with me putting the first piece wrong on my paper and of course ripping it off. But after I get the hang of it it's all good. 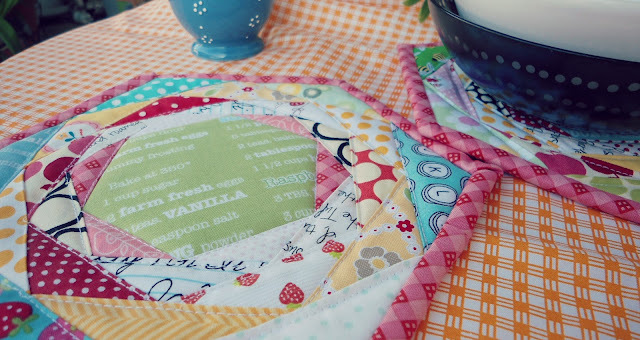 I love that you can't go really wrong with paper piecing. I mean you just sew on a straight line. Though my straight lines as you see in the picture below, are not so straight after all. It was the first time though I made them, and I think they turned out pretty OK. The binding was not as intimidating as I first thought. I machine binded the front side, and hand sewn the back side. I even used some selvages, in case auntie would want to hang these beauties. Overall, I'm pretty happy, and I'd love to make a set for our home too. 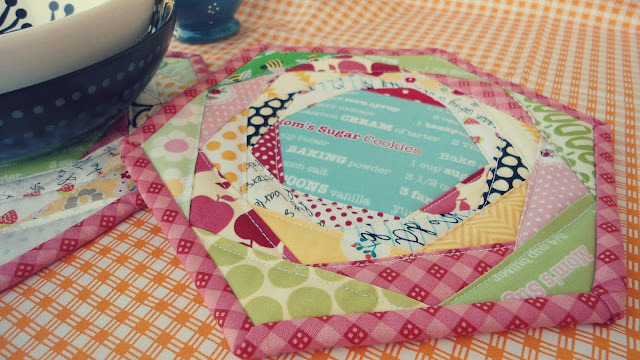 I used insulated as well as cotton batting of the trivets, and quilted them by outlining each hexagon. Thank God for my walking foot cause the regular foot would not cooperate under any circumstances. I'd love to show you more, but I have to go make dinner. Nothing fancy, probably fresh tomatoes with eggs and potatoes.!!yummy!! they are beautiful. 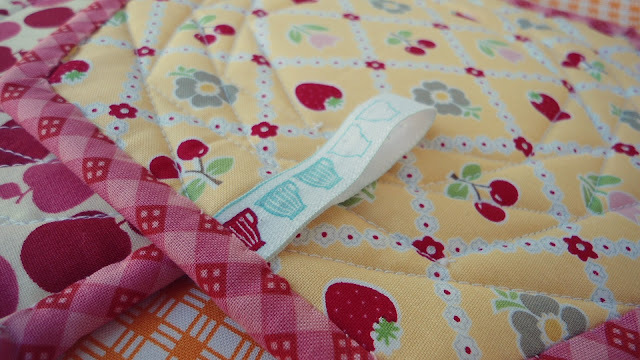 Love all the gorgeous fabric you used. I love these! 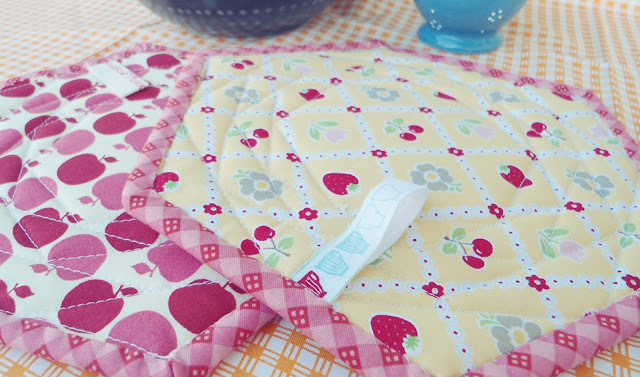 where did you find the paper piece pattern? These are so darling - super nice job!